This 3-piece kit includes a brow wax to shape eyebrows, Brow Building Fibers and a custom dual-end brush for wax and fibers application. Create thicker-looking hair with one of these hair styling products for fine or thin hair. Brow Fibers make even the thinnest eyebrows instantly thick, full and natural-looking. 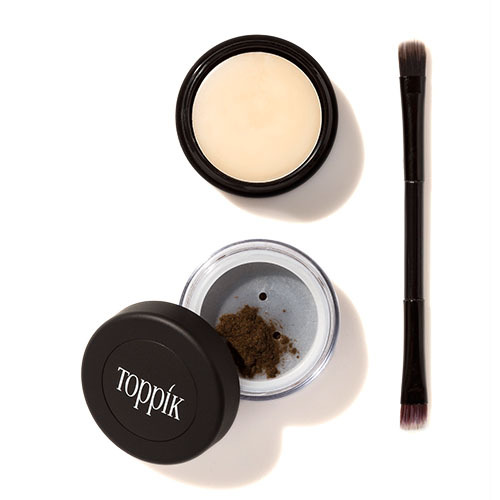 Fill in patchy, thinning brows with Toppik Brow Building Fibers. 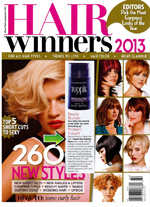 Toppik Hair Building Fibers fill in thin spots and cover up gray roots between color appointments! 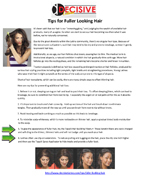 Help for Thinning Hair: Your ponytail is shrinking... or your part's getting wider... or there's more hair in the drain. Up to 80% of women will have some hair thinning in their lifetime, even if only temporarily. Long-term measures can take 3 to 6 months to yeild results. In the meantime, it's worth trying some temporary solutions. Toppik Hair Building Fibers (in a variety of shades) can be shaken on sparse areas to mask them. Thanks to a slew of new science, volume boosters have major new benefits. 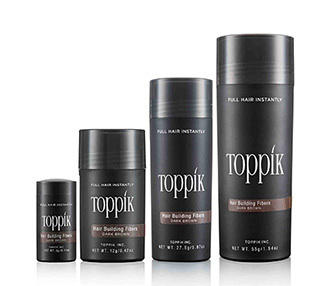 Toppik Hair Fattener is basically a leave-in conditioner, styling aide, and thickener rolled into one. The hefty dose of keratin proteins nourish and strengthen, so use it on wet or dry hair to add volume, shine, and thickness. Are you guilty of going to extremes in a quest for a fuller mane (home remedies, vitamins, a regulated diet), only to realize nothing is really working? At the end of the day, your hair type is embedded in your genes so your best option is to learn how to work with what you’ve got. There are a few staples every girl with thin hair should have on hand at all times. Hair-building fibers with keratin protein instantly give the look of fuller, thicker hair. Mask any thinning areas by applying this powdery substance to the root. 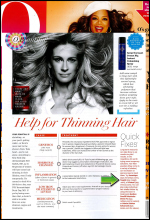 Try Toppik Hair Building Fibers! What would you give up in order to have fuller hair? According to a survey, 77% of men claimed they would give up something for a year for the promise of thicker, fuller hair. To be exact, 33% said they’d give up beer, 26% magazines and videos, 26% guys night out, and 20% would give up watching their favorite sport. Are you with them? If your answer’s yes, or you’re even slightly intrigued... we believe that achieving fuller-looking hair shouldn’t be all that painstaking. Embrace Hair Fibers! While this may not be your daily go-to, it’s a great option for a big event. Try finishing your look by applying a colored hair powder or fibers product like Toppik Hair Building Fibers to help increase volume at the root and cover your scalp. 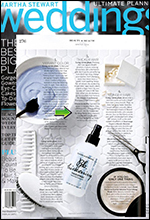 It’s an inconspicuous way to blend any sparse or bald spots into your hair." Toppik introduces new 3-in-1 Hair Renewal Shampoo, a lightweight, anti-aging formula that cleanses, conditions and exfoliates the hair and scalp in one step, cultivating the optimal environment for hair growth. 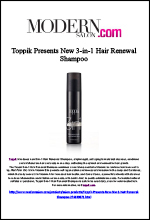 The Toppik 3-in-1 Hair Renewal Shampoo combines a nourishing cocktail of Keratin, to reinforce hair from root to tip, Red Palm Oil, rich in Vitamin E to promote cell regeneration and increased circulation to the scalp and Carotenes, which the body converts to Vitamin A for increased hair health, and Camu Camu, a powerful antioxidant that serves to reduce inflammation and irritation on the scalp, with Lactic Acid, to gently exfoliate the scalp. Formulated without sulfates or parabens, Toppik 3-in-1 Hair Renewal Shampoo is safe to be used daily, even for color-treated hair. How To Add Volume To Your Hair In Minutes: Transforming thin, fine hair into a voluminous masterpiece isn't easy, but it's far from impossible. Take the right approach and follow the appropriate prep — it's not just what products you use but how you use them — and you'll soon have gorgeous, full locks you've been lusting after. 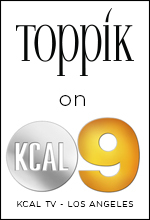 Toppik Hair Building Fibers eliminate thin-looking hair, making it fuller and unable to see the scalp. Toppik, which comes in a variety of shades for different hair colors, is a micro-fine, keratin powder that should be sprinkled on and sealed with hairspray - or Toppik FiberHold Spray. Static electricity helps bond the powder to the hair, and the use of hairspray at the end provides an extra layer of protection. Hide Your Roots in a Hurry: Why we love Toppik Hair Building Fibers: Tiny hairlike Fibers (made of actual Keratin) attach to strands, filling in sparse spots. Plus, it won't run, smear or stain - even if you sweat, sleep or get stuck in the rain! Our short-term fix for thicker hair: sprinkle - or spray - Toppik Hair Building Fibers. 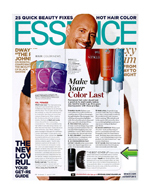 They adhere to your strands, adding instant volume and hiding thinning areas. Top Locks. We know that proper diet can enhance skin, nails and hair… but we can't always be perfect about eating the right things. 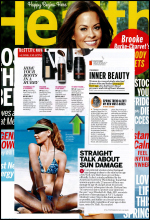 Now you can give that diet a serious beauty boost with Toppik Hair Nutrition 2-in-1 Capsules. Packed with Keratin, Biotin, Vitamin E and more, the capsules help support fine or thinning hair with gorgeous results. 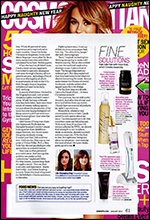 Fine Solutions: Fake Fuller Hair! Tinted Keratin fibers (in Toppik Hair Building Fibers) cling to hair strands, making them appear thicker while camouflaging noticeable scalp show-through. While dyeing hair should be left to the experts, these non-dye products can help perfect and preserve the aging man's 'do outside of the salon. Fill in scalp-baring spots with Keratin Fibers that cling to strands. For a custom salt and pepper look, mix White or Gray Fibers shades with the shade that matches your hair color. Whatever the cause of hair loss, every recovery plan requires patience: FIRST’s experts say the body needs time to adjust to drug therapies, and hair generally takes several months to start growing again. Try not to let the waiting game sap your self-esteem. 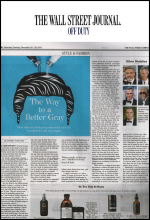 “People worry that others are focusing on their hair, but that’s usually not the case,” Dr. Redmond assures. 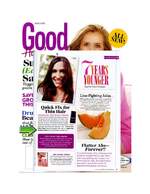 “Having seen more than 10,000 women with hair loss in 25-plus years. 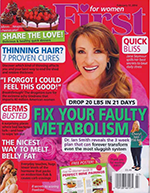 I can scarcely think of an example where a patient’s personal relationships were negatively affected by this issue.” As you’re waiting for hair to fill in, Dr. Redmond recommends using Toppik, a sweat-proof cosmetic powder made from pigmented keratin fibers (available in nine shades, $25 for a 30-day supply, at Toppik.com). When applied to thinning spots, the fibers bind to barely-there baby hairs to conceal visible scalp-and help you feel more confident. 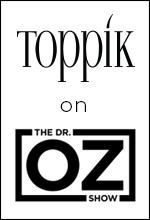 Dr. Oz features Toppik as a thinning hair solution, as expert Trichologist Candy Lewis uses the Toppik Spray Applicator with Toppik Keratin Fibers on the show to demonstrate how to easily get immediate coverage. This segment highlights Toppik Keratin Hair Building Fibers to make fine and thinning hair look thicker and fuller. 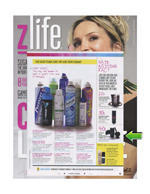 Give that diet a serious beauty boost with Toppik’s new Hair Nutrition 2-in-1 Capsules. Designed to work in conjunction with a healthy diet and lifestyle, these daily supplements help support fine, thin or thinning hair for beautiful results, said the company. 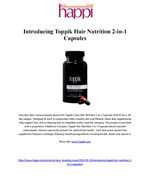 The product is enriched with a proprietary VitaRenew Complex, Toppik Hair Nutrition 2-in-1 Capsules blend essential antioxidants, vitamins and exotic extracts for optimal hair health. Each dual action gluten-free supplement features a mélange of beauty beneficial ingredients including keratin, biotin, and vitamin E.
Treat postpartum beauty concerns and shape your bod to prepregnancy status. These natural-colored keratin fibers bind to all hair types to create fullness and fill in sparse spots – and wash right out. Just like our skin, our strands can’t escape mother time. Here are a few of our favorites to keep locks lively throughout the years. Toppik Hair Building Fibers Kit. Thicker, fuller hair in minutes. Shade in a wide part by dusting Toppik Hair Building Fibers over the area you want to conceal. 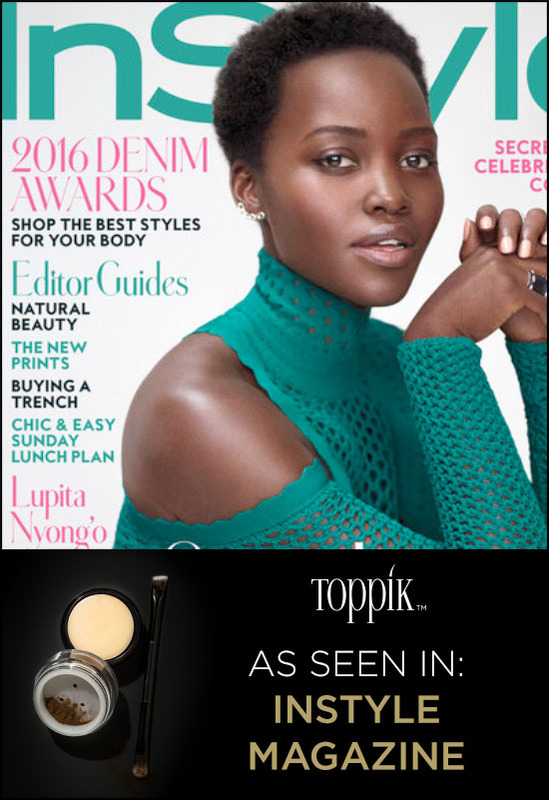 Toppik Hair Building Fibers are featured as an instant solution to make thinning hair look thicker and fuller in this segment. There’s nothing worse than trying to avoid dark roots or looking in the mirror and seeing those pesky grays have shown up again. 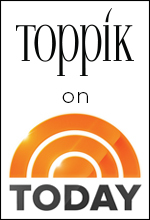 Toppik Hair Building Fibers is our go-to product when we need to cover up our roots or blend those extensions. Its Spray Applicator allows us to apply the Keratin Fibers to the precise areas, while the Hairline Optimizer lets us keep a natural looking hairline. Concealing your sparse strands needn’t require complicated styling products or techniques. An easy new option: Hair Fibers. Post styling, shake onto thinning areas on your scalp then pat or rub in. The electrostatically charged particles will bind to strands, creating a fuller, thicker look that lasts until you shampoo. 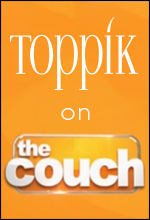 To disguise a widening part, dust a colored hair-thickening power like Toppik Hair Building Fibers. 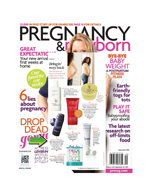 Your baby-fine strands could really use some thickening up! Problem Solved! 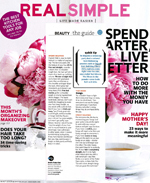 Ready for your fullest hair yet? Toppik Hair Building Fibers are made with all natural colored keratin protein, so when you shake it onto thinning areas, the fibers cling to and bend with your existing strands, making locks look instantly thick and lush. It’s also ideal for touching up roots and hiding patchy spots. 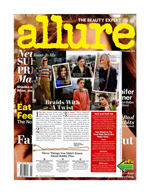 Hair trends for the season are "beachy" messy waves, sleek and low ponytails and wet-looking braids. 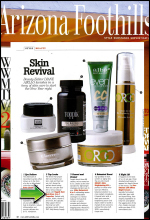 For any of these popular styles, dust Toppik Hair Building Fibers on visible scalp or the part to help blur the lines. To get the appearance of fuller hair, try Toppik Hair Building Fibers. These Keratin protein Fibers have a natural static charge and so they will cling to the tiniest, thinnest hair strands and will not budge until you shampoo. Latina's often use clip-in extensions. To reduce pulling and tugging on the hair, place the clip one inch higher and then apply Hair Building Fibers with the Toppik patented Spray Applicator to hide tracks and provide that full look.